Go big or go home, and DISH isn’t going home. CES has traditionally been a huge show for DISH, and this year looks to be no exception. 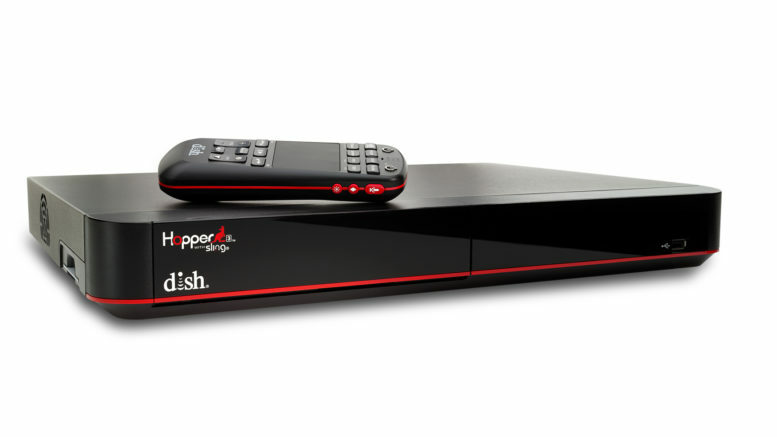 While other pay-tv providers traditionally ignore the show, DISH continues to bring the goods. Last year it was Sling TV, and this year they are ready to drop the microphone on the question of how many tuners you need. Here’s the only thing you need to know: SIXTEEN TUNERS. When this comes to market it will be the unquestioned champion of the tuner wars. DISH execs admit that you probably don’t need 16 tuners, but it’s not about what you need, it’s about never, ever, ever, ever (repeat “ever” 16 more times) have a recording conflict. Oh yeah, EVER. Oh, that should be enough to light you up, but you thought they would stop there? Think again. Hopper 3 is a 4K DVR and DISH is bringing a very decent slate of 4K pay-per-view online while we’re all waiting for live 4K content. Not only that, they’re adding the ability to search Netflix content while searching the guide and bringing in YouTube videos. You thought they were done? The capper is something called “Sports Bar Mode.” Watch 4 HD channels at once, not a mix channel but 4 HD channels that you choose, all live and all on the same screen. All I can say is, mancaves will never be the same. Once you’re done swooning over the 16-tuner capability of Hopper 3, take a look at this little piece of tech. HopperGO puts 100 hours of programming on a tiny little box that you actually bring with you and stream wirelessly to mobile devices in the vicinity. It will stream up to five different programs to five different devices and does it all without using mobile data. This is perfect for long trips with kids. Load HopperGO up with content and save those data plans for when you need them. I’ll admit that HopperGO would have been much more revolutionary-sounding five years ago but if you have kids this little box will definitely come in handy. It’s also going to be great for travelers who want to bring recorded programs with them. Tomorrow morning, I’ll be visiting DISH’s booth and I’ll get an eyes-on look at the new stuff. I’ll be asking the tough questions, although I already know the answer to one of them: Hopper 3 and HopperGO aren’t expected to ship until late in the first quarter.